January- Visible Poetry Connecting the World- An international group art exhibit at the Hanam Culture and Art Center in Hanam-si, South Korea. I have been fortunate for several years to participate in many international art organization exhibits that foster global peace and sustainable environments. January 18-April 29- Museo ItaloAmericano, San Francisco. A return to this wonderful venue and to my Italian roots in a 3-person exhibit. 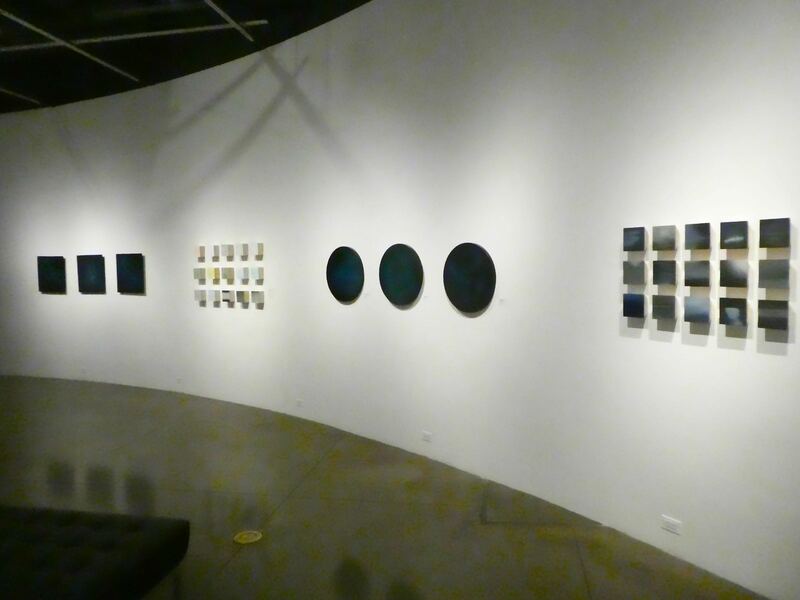 Many of my current works will be exhibited at the wonderful Fort Mason complex. May 8-June 17- Dairy Arts Center, Boulder is a solo exhibition. 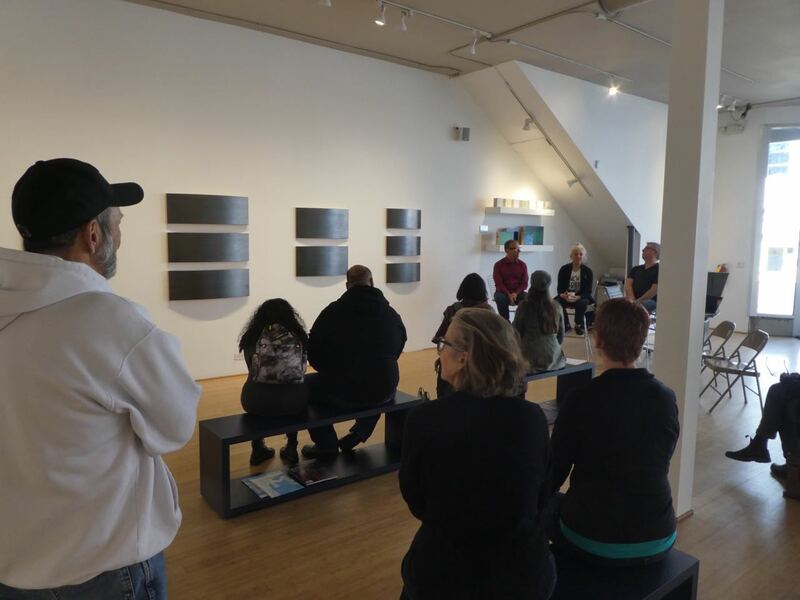 The large lobby galleries offer an opportunity to show my larger scale installations in this wonderfully active community gallery. 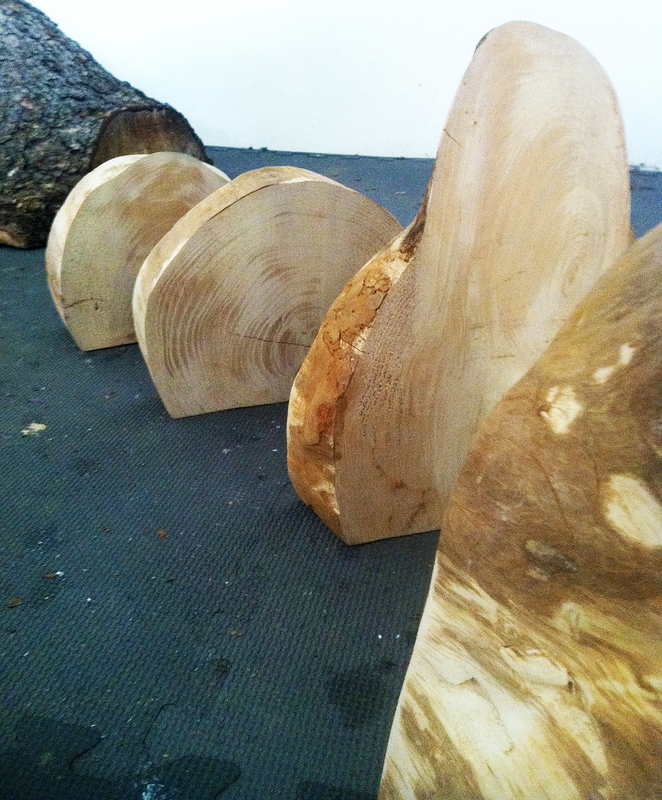 New Art in the Works: Here is a sneak preview (right) of my new work in progress that pays homage to the world’s trees—those that have been, those that are still with us and those that are hopefully yet to be. 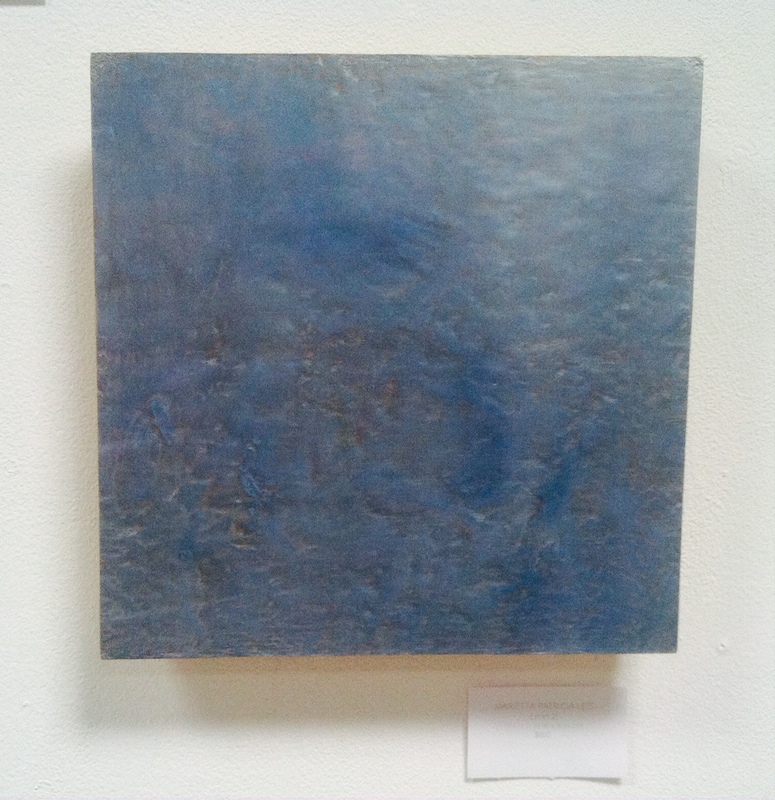 Winter Blues and Seasonal Hues, Lincoln Art Center, Fort Collins, CO. Curated, Jeanne Shoaff. This was a holiday season extravaganza. Three wonderful artists sharing a beautifully-installed exhibit with a community ready to celebrate the joy of Christmas and into the New Year. 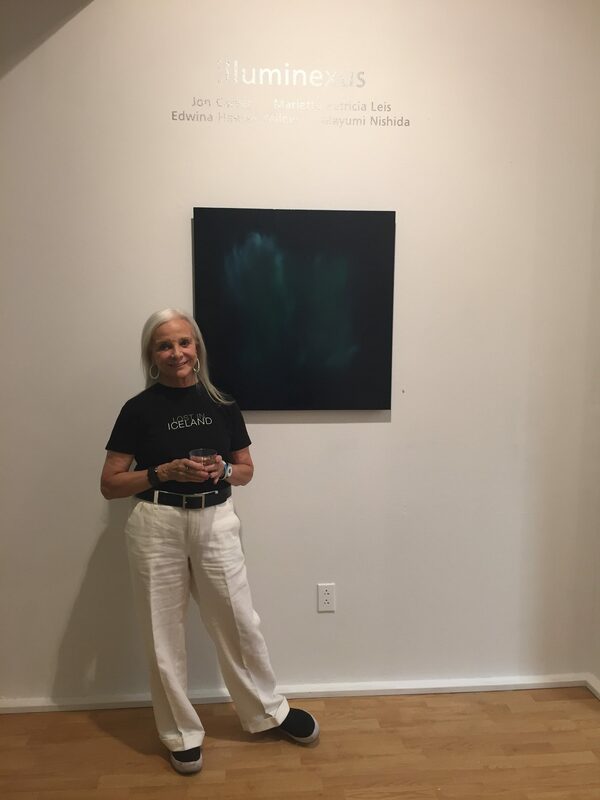 A wonderful opportunity for the inaugural exhibit of my paintings, Ascensions inspired by Iceland’s Northern Lights. What fun this was: the first reading of my book. I didn’t know how it would be received, but my 15-minute allocation spread to 2 hours with poems and discussion. Everyone was eager to talk about about pausing in today’s chaotic environment. It was also nice to have a couple of the original artworks from the book there for people to see in person. 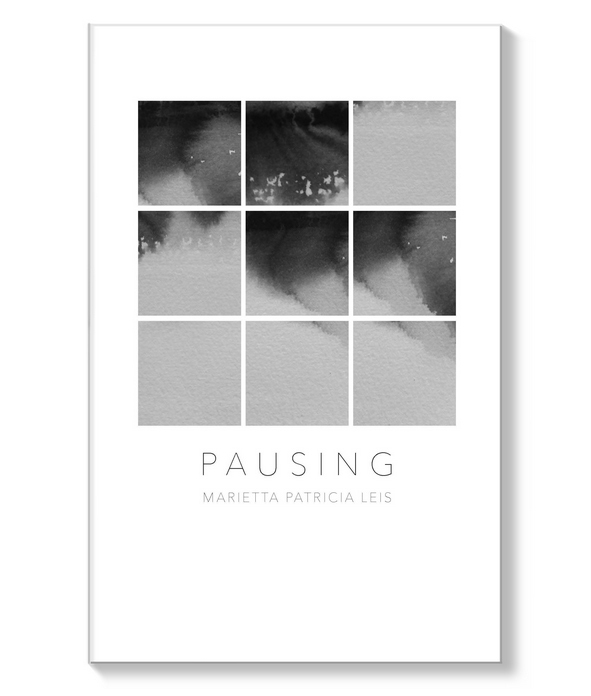 Please visit Amazon.com if you would like to purchase a copy of Pausing. 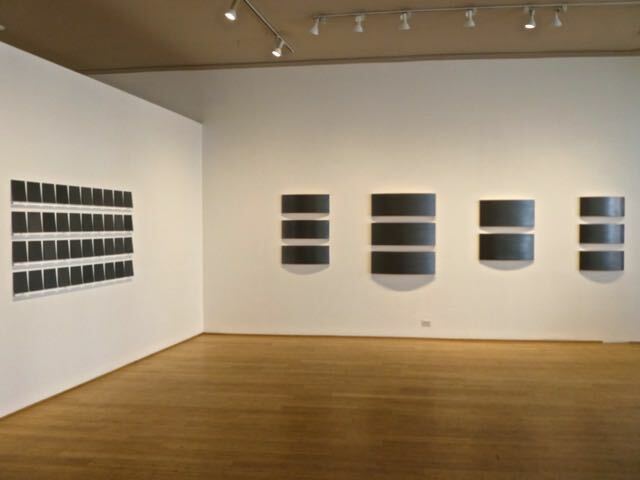 Lost and Found in Iceland, Michael Warren Contemporary, Denver, CO. The premiere of my Iceland paintings was perfect in this beautiful gallery where they showed dramatically. 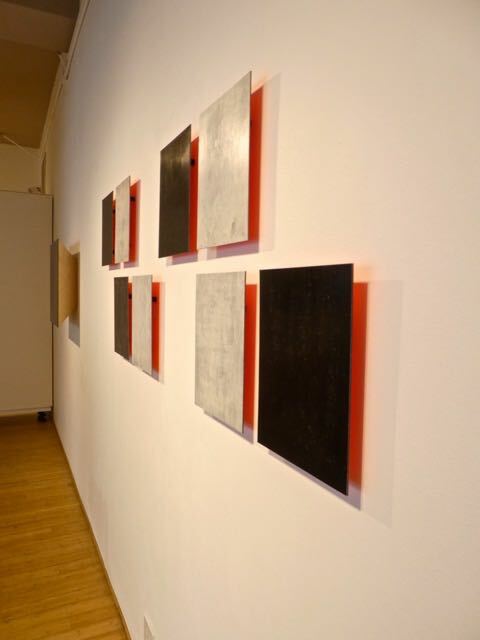 The curved birch wood formats painted and burnished with graphite looked just as I remembered Iceland’s landscape. With no trees to obstruct the views the volcanic island shone for miles all the way to the curvature of Earth. April Price and I conjured up the idea to invite Santa Fe artists to participate in an exhibit with me in Albuquerque. It worked out beautifully with installations and paintings intertwined in one gallery space and another gallery room showed my Ascension paintings. The coupling was very successful and was attested to by a terrific review: click here to read it! 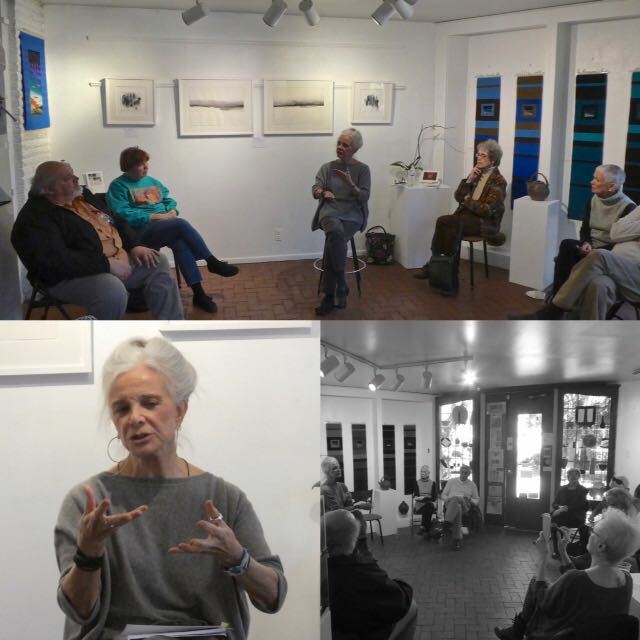 Landscapes of Life and Death: Photography, 516 Arts, Albuquerque, NM. 516 Arts is the premiere showcase in Albuquerque. Between a museum and gallery, it shows some of the most exciting art globally, so it is a great privilege to exhibit my art there. This exhibit, part of the NM photography month had Mary Anne Redding, a superb curator, selecting my series of 8 photos on glass, Heartspace. 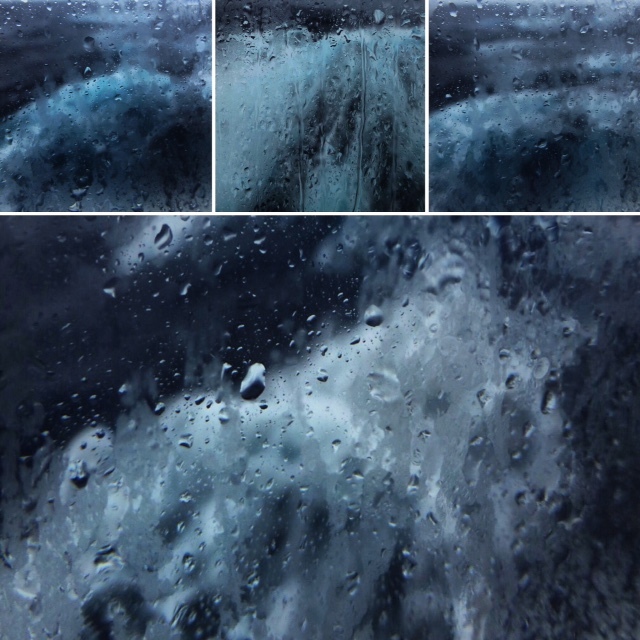 These were taken looking out of my cabin window at a storm raging in the Drake passage and a sound piece of that storm accompanies the photos. 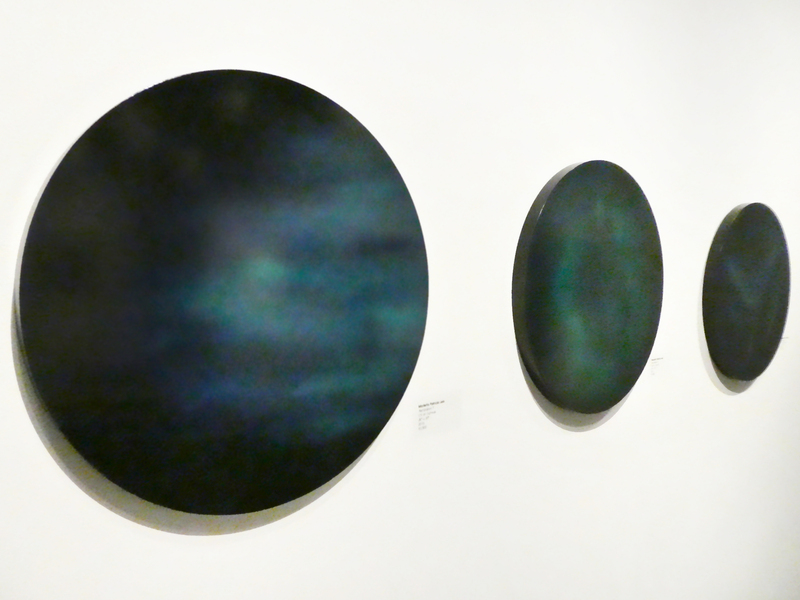 Spectrum, bG Gallery, Santa Monica, CA. Such fun to revisit my old stomping grounds. Having lived in Los Angeles for 20 years, I can appreciate how vast the art scene has become. 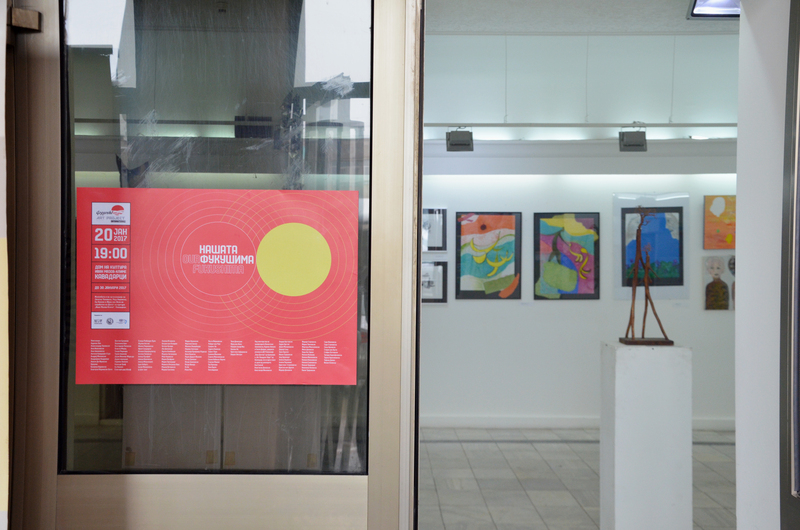 This invitational group exhibit was in the infamous Bergmont Station group of galleries. The art was hung salon-style in groupings of hues, creating a dynamic spectrum of color. 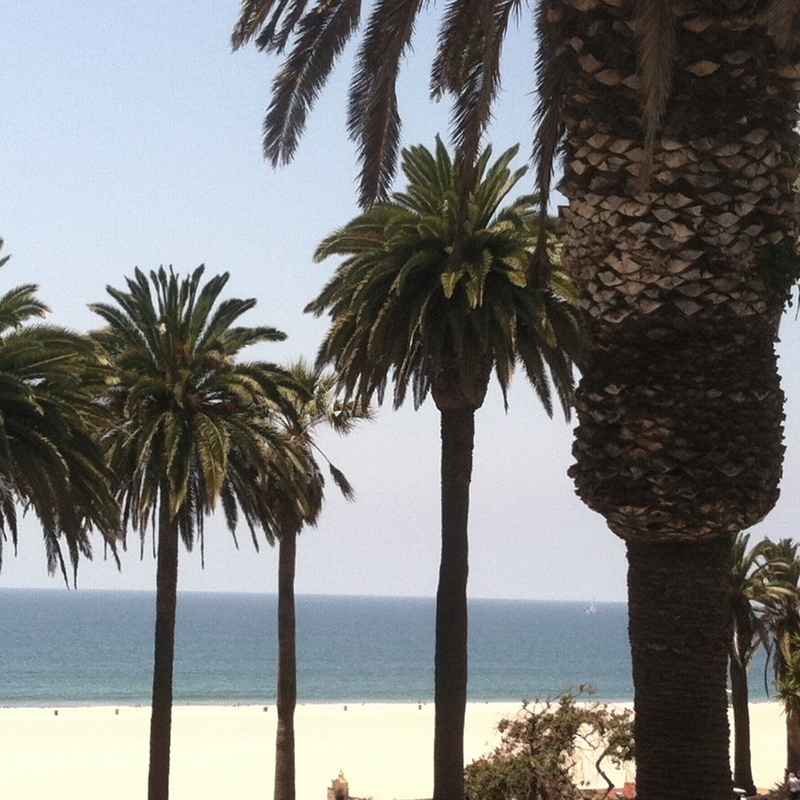 Oh, and being there for July 4th enabled me to see a local parade and look over the Santa Monica pier at fireworks. Always pleased to exhibit to a new audience and this group show of international artists was certainly that. But more then that it brought attention to the continuing plight of Japan’s suffering Fukushima. Now I am looking forward to my fall events, which I have posted in my MailChimp. You can sign up for my MailChimp announcements on my Contact page. If you have any questions regarding these upcoming happenings, please don’t hesitate to email me and I will be happy to send you more information. Hoping to see you at one or more of these upcoming events!